152 Rockaway Rd, Homewood, AL.| MLS# 832488 | Richard Jacks UABLIVING.com 205-910-2297 | Birmingham AL Real Estate | Contact us to request more information about our Homes for Sale in the Birmingham AL area. 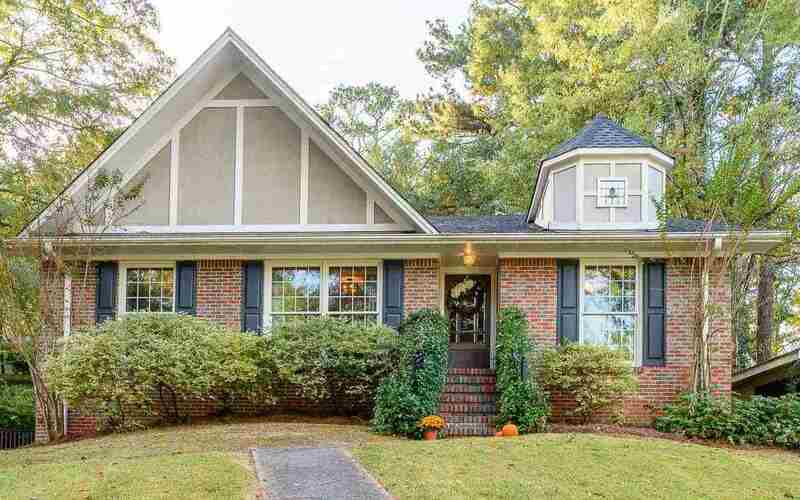 Brick home in the heart of Homewood is immaculate & beautifully updated! It has 3 BR&apos;s, 3 & 1/2 BA&apos;s plus lots of space! The master suite is XL and includes a vaulted ceiling, hardwood floors, walk-in closet & lovely updated bathroom with a double vanity, large tub & a separate tile shower! Spacious updated kitchen features granite countertops, subway tile backsplash, granite-topped island & a dining area with a built-in serving sideboard. Huge den off the kitchen with a vaulted ceiling & fireplace with gas logs. A deck & a spacious parking pad are right off the den. Other features include a large living room/dining room (bookcases do not remain), main-level laundry room & full basement with a garage, lots of storage space & a heated/cooled bonus room. Improvements include a new roof (2017) & a smart home system with Ring doorbells, combo/remote locks and a two-zone Nest thermostat. The backyard is filled with lovely fig trees. Only a quick drive to SOHO, downtown and UAB! Driving Directions: Hwy 31 To Saulter Rd, Left On Rockaway, House Is On The Right. Lakeshore To Parkway Dr. Right On Lucerne And Will Dead End Into Rockaway And House Will Be In Front Of You.